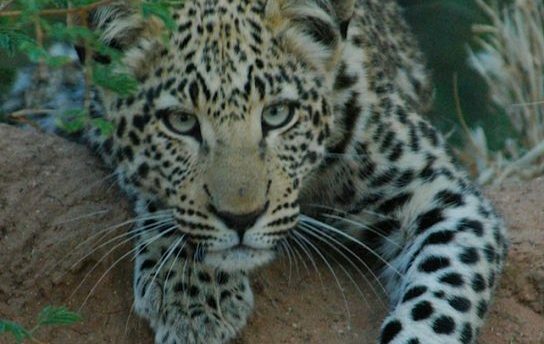 A typical 8 day safari which combines exceptional game, excellent cuisine, intimate setting and overall simplicity – suitable for families and small groups. 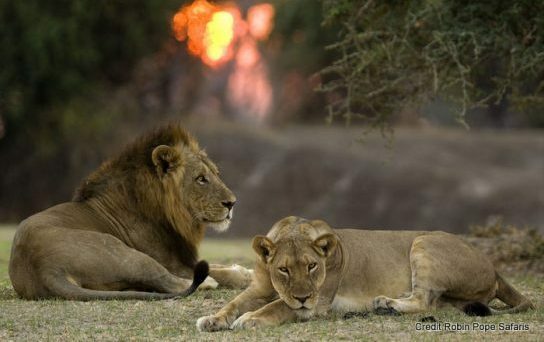 Camping extravaganza with exceptional game viewing, mountain biking and walks in Mwaleshi. 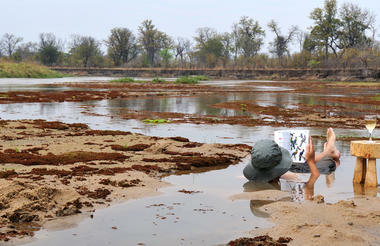 Watch hyena hunting puku in the shallow waters of the Mwaleshi. 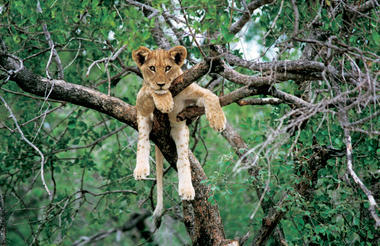 Experience impressive herds of buffalo, the endemic Cookson’s Wildebeest and prides of resident lion. 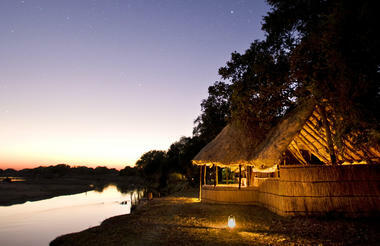 Mwaleshi Camp (North Luangwa) – An unforgettable destination in the remote North Luangwa National Park. 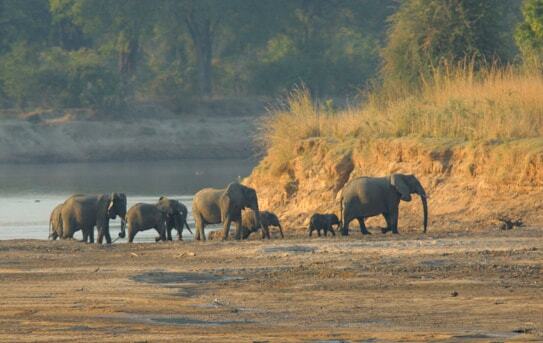 10km from the Mwaleshi and Luangwa river confluence. Guests may also spot hyena hunting puku in the shallow waters and impressive herds of buffalo, also look out for the endemic Cookson’s Wildebeest and the resident lion! the surroundings are beautiful and the game is exceptional. Furthermore the cuisine is excellent! 1st of May to the 15th of November -Tafika Camp is open during the dry season and children under the age of 10 years are accepted at Tafika at management’s discretion. 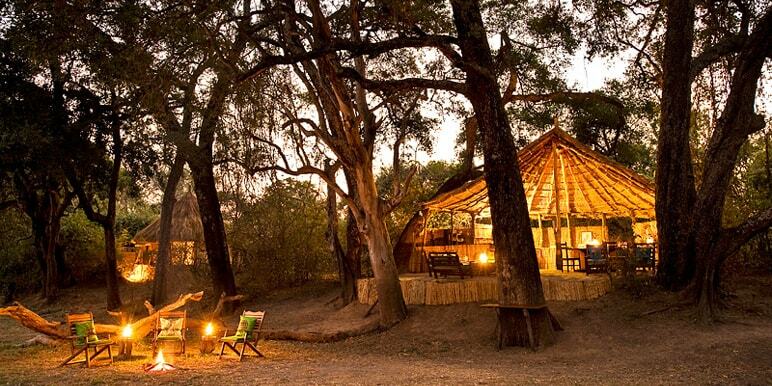 15th of June to the 31st of October – Mwaleshi Camp is also seasonally operated. 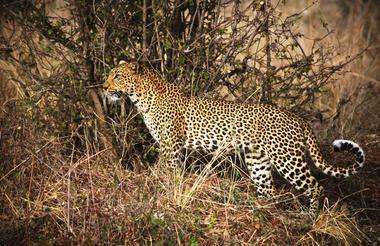 The perfect destination for an unforgettable experience offering the finest leopard viewing in Zambia! Arrive Lusaka International airport for your Proflight flights to Mfuwe. Met on arrival at Mfuwe for transfer to Tafika Camp. 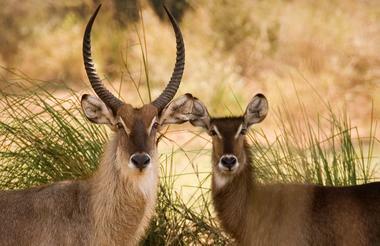 During your stay at Tafika you'll go on day and night game drives, walks, cycling and visit the local village. There's an abundance of game, quiet spots to sit and watch the activity on the river. 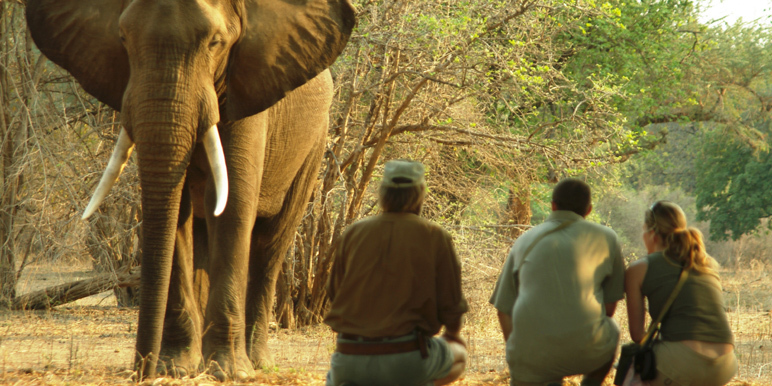 Discover the world of tracks and calls walking in the North Park for 4 nights at Mwaleshi Camp. A wonderful experience of excitement and soul soothing space. Walking safaris only. 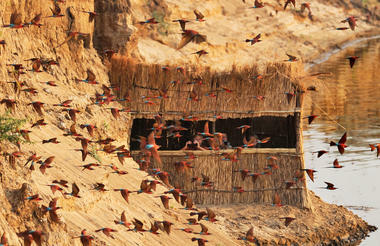 Enjoy the freedom of Africa's vastness on foot. You'll be dropped of and picked up by a vehicle see hyenas hunting puku in the shallow waters buffalo, endemic Cookson's Wildebeest and lion. Transfer from Tafika to Lukuzi airstrip (15 min drive). Board a charter aircraft for a 25 minute flight to Mwaleshi. on your onward travel plans. 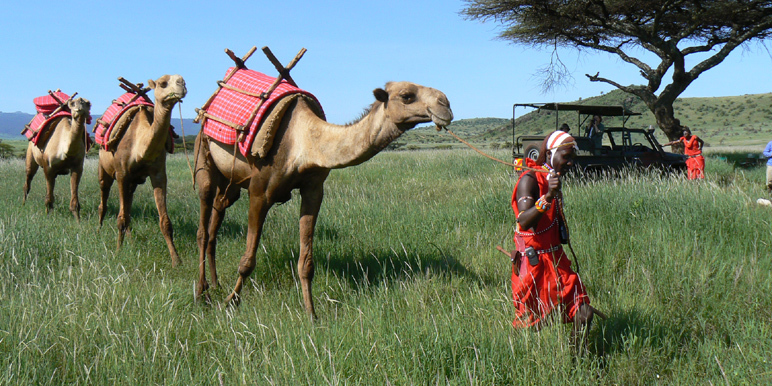 Walk on the wild side with our 3 night camel back safari in Kenya’s Laikipia wilderness… excellent wildlife, perfect for families!